Jan’s Ethno Breakfast has come around again. For the last one I had made 2 dozen Cajun deviled eggs. 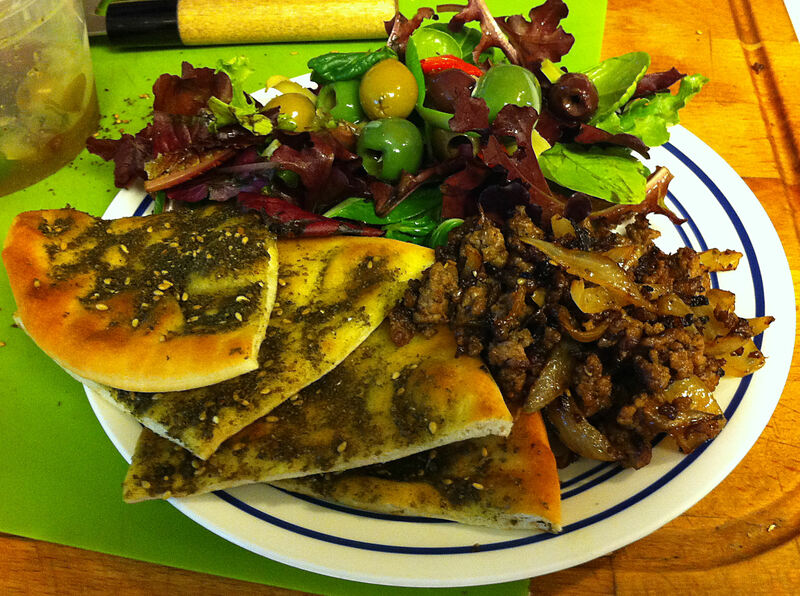 I did not want to make exactly the same thing again, so I thought I would make these Middle Eastern with za’atar. I needed a starch dish to go with my ham steak and coleslaw for a week night dinner. I wanted something that would be quick and easy, so I decided to use orzo—instead of rice. To keep things interesting, I chose to spice it up with za’atar. One thing was requested by many for our Labor Day barbecue was corn on the cob. I am making koobideh hamburgers, so I though some za’atar sprinkled on the corn would fit the Fusion Middle Eastern theme. Since I am less fond of corn, I break the ears into smaller pieces—they are easier to eat and everyone knows that two small pieces have fewer calories than one big piece. Earlier this week I made some raspberry crackers. 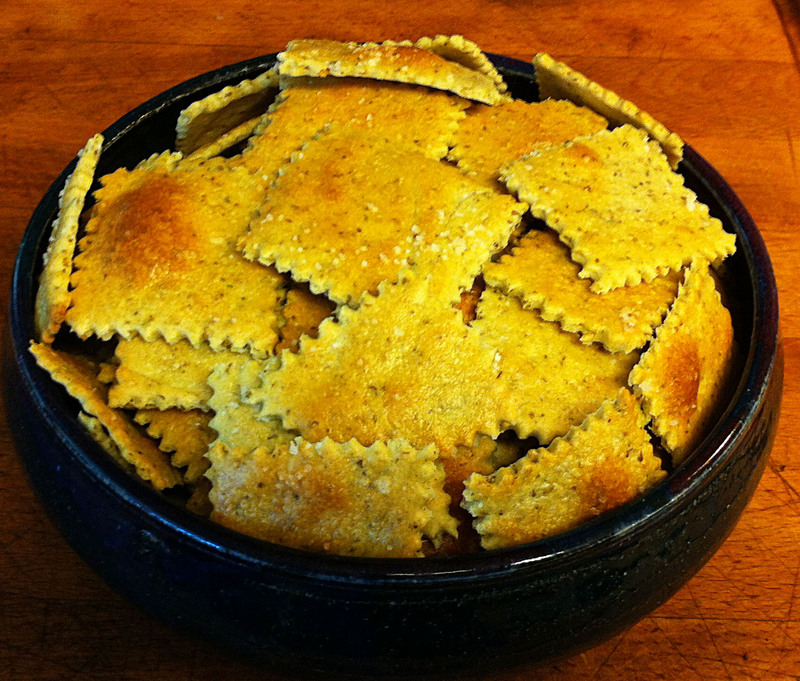 This led Jan to thinking about: What other unexpected things you could you add to crackers? Her answer was the spice blend za’atar. She asked me to make these crackers for Sunday’s dinner.